TThe month of August is almost over and I admit that we had to publish this month’s newsletter slightly later than our usual date as we have many things to share with you, whom I can tell, are anticipating the updates from us. One of the most intensive parts of KLEFF is the film evaluation and selection. Imagine going through over 200 films in less than three weeks and deliberating which films will be selected for screening this year! 84 films have been selected to be screened at the week-long festival and I can assure you that you may want to consider watching every film! On top of that, the esteemed juries have also selected the finalists for each category of the competition. Moreover, to commemorate the 10th Anniversary this year, KLEFF have selected 10 (yes, TEN!) films as the Official Selections. This year's films have been selected based on its strong messages that highlight current issues and (potential) solutions, thus we believe it will benefit our audience. 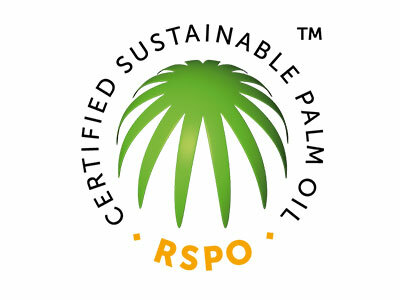 I would like to also extend our gratitude to our latest partners for KLEFF this year, Roundtable on Sustainable Palm Oil (RSPO) and The Body Shop Malaysia for getting on board to celebrate this important movement. 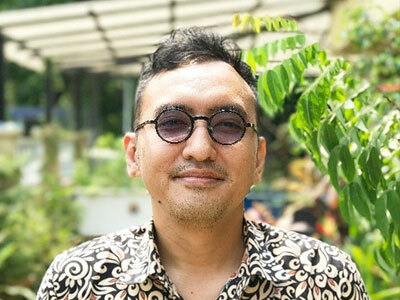 We strongly believe that the presence and support from corporations, NGOs, communities and the public will only continue to increase the exposure of our cause and impel action for a better future. Stay tuned! We have two months to the Festival! We have plenty more things to announce in September and October! Thank you and see you in a month’s time! 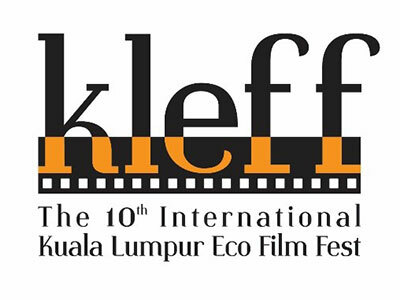 KLEFF 2017 Announces Selected Films, Official Selections, Top 5 Finalists and Screening Schedule. After 6 months of film competition and 1 month of judging process, the KLEFF 2017 committee has announced the results of the film submission as well as the screening schedule. Out of 249 submissions we received globally, the KLEFF 2017 panel jury has selected 84 films to be screened throughout the seven-day film festival. The films focus on various themes such as wildlife conservation, climate change, water issue, waste and indigenous community, to name a few. We are also excited to announce the Top 5 finalists and our 10 Official Selections. Among our Official Selections are 2 wildlife documentaries addressing the Sun Bear and Sumatran Rhino conservation in Malaysia. We are Two months away from the festival and we are pumped up for the film screening. We hope that you are looking forward to the film screening in October. Time to mark your calendars here! Registration for film screening tickets will start on 1st September 2017. Great news! The 10th Kuala Lumpur Eco Film Festival (KLEFF) 2017 committee is proud to announce that we will be collaborating with 2 new partners – Roundtable on Sustainable Palm Oil (RSPO) and The Body Shop Malaysia. 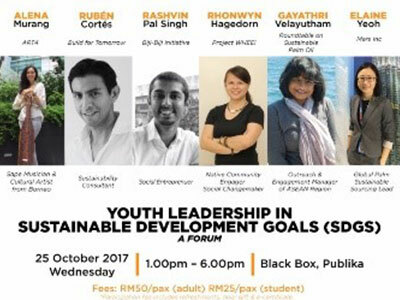 In collaboration with the Roundtable on Sustainable Palm Oil (RSPO), we will be organizing the Youth Leadership in Sustainable Development Goals (SDG) Forum on 25th October (1pm – 6pm) at Black Box, Publika. The panel speakers consist of young influencers like Gayathri Velayutham of RSPO and Elaine Yeoh of Mars Food Malaysia. We would like to thank RSPO for sponsoring the Youth Leadership in Sustainable Development Goals (SDG) Forum. Yes, you heard it right! 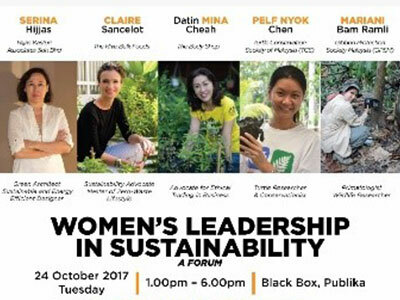 KLEFF 2017 will be collaborating with The Body Shop Malaysia for the Women’s Leadership in Sustainability Forum that will be held on 24th October (1pm – 6pm) at the Black Box, Publika; featuring women leaders in their respective fields. We are honored to have Datin Mina Cheah of The Body Shop Malaysia as one of the panel speakers. 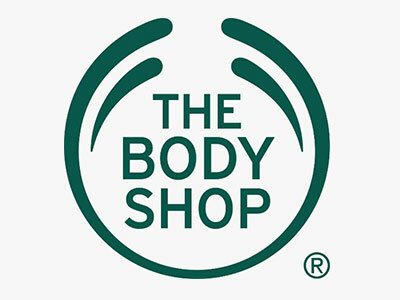 We would like to express our gratitude to The Body Shop Malaysia for sponsoring the Women’s Leadership in Sustainability forum. 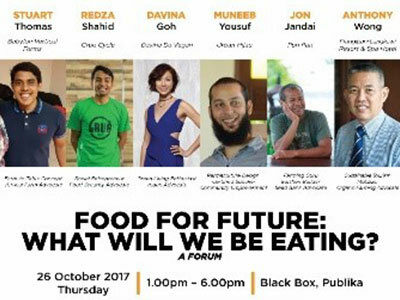 The forums’ panel of speakers consist of leaders and advocates for sustainability in their respective fields such as KLEFF 2017 Ambassador Alena Murang from Art4, Claire Sancelot of The Hive Bulk Foods, Rashvin Pal Singh from Biji-Biji Initiative and Davina Goh of Davina Da Vegan. Click here to learn more and register for the forums. Registration starts on 23rd August 2017. 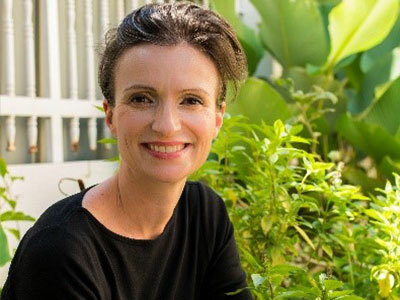 Claire Sancelot is one of the truly dedicated advocates in the zero waste lifestyle and is now educating the public on zero waste. Claire and her family, who shifted from Hong Kong to Kuala Lumpur is determined to lessen their waste to one bag a month. The founder of The Hive Bulk Foods will be a part of KLEFF 2017 as a speaker in the Women’s Leadership Sustainability forum. Check out KLEFF’s interview with Claire Sancelot here. We welcome everyone from different backgrounds and professions to volunteer! If you are a person who enjoys communicating with people, working in a team, up for challenges, willing to learn, and most importantly wanting to contribute something positive, do apply to volunteer with us! 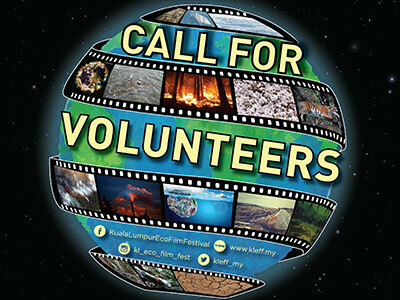 For more information about being a KLEFF Volunteer, visit us and register at http://kleff.my/call-for-volunteers/! We welcome everyone from different backgrounds and professions to volunteer! If you enjoy communicating with people, working in a team, are willing to learn, and most importantly wanting to contribute something positive, feel free to apply and join us!